Bob Mannino has become the caretaker for this 1936 “floating lighthouse” that will dock in East Boston. 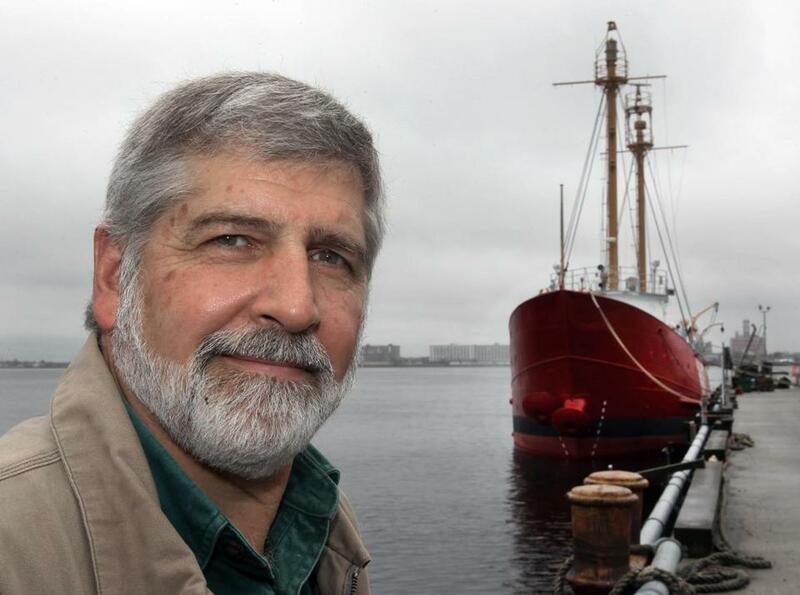 Bob Mannino has become a steward for Nantucket Lightship/LV-112, built in 1936. Basically, a lightship is a floating lighthouse. The reason they started using them was because it just wasn’t practical to build a lighthouse [in some locations]. Nantucket Lightship Station was called THE STATUE OF LIBERTY OF THE SEA. When a lot of immigrants came in, this was the first US landmark they saw. Because of our professional skills and some contacts, [my wife and I] said we’d get people together, put funding together, and start a nonprofit. So we established a 501(c)(3) — the US Lightship Museum. As an organization, we’re three years old. Our primary objective is to preserve it in perpetuity, because it is a National Historic Landmark. The other thing is that we have to open it up to the general public [in July] SO PEOPLE CAN SEE THE LIGHTSHIP and learn about the history. Since this ship was decommissioned in 1975, it had never been back in Boston. The ship has nothing to do with Nantucket Island. The reason they call it “Nantucket” is because [it guided ships away from] Nantucket Shoals. Where Boston was always the Nantucket’s home port when it came in, WE WANTED TO BRING IT BACK. Ideally, I think some people would like to see “Boston” on the side of it. — As told to Steve HoltInterview has been edited and condensed.